In the first part of our interview with Magda Papadaki, Head of Manufacturing Innovation, and Rebecca Lumsden, Head of Science Policy, at the Association of the British Pharmaceutical Industry (ABPI), we discussed how the UK life science ecosystem has changed over the past decade, and the ways in which the UK can accelerate growth in the sector. In this second part, we talk about the challenges facing UK pharma, and how the ABPI is helping the industry address global healthcare issues. What are the current challenges facing UK pharma? MP: Many of the challenges that the UK faces are those that affect the pharmaceutical industry globally. A shared challenge by all health systems is how to ensure timely and fast access to medicine that is safe and effective for individual patients. We’ve seen the UK leading the way on this conversation through the Accelerated Access Review. In order to accelerate and simplify the process of delivering effective, personalised medicine to patients, we need an overhaul of the current system that will involve every player across the value chain – from pharmaceutical developers and regulators, through to clinicians and healthcare payers. The challenge will be in working out how the system should be restructured. We will need to carefully balance the evidence-based requirements in new medicine assessment and the speed that the current system can adopt innovation. One particular field which poses very specific manufacturing infrastructure and regulatory challenges is regenerative medicine (discussed in part one [LINK TO PART 1]). The supply and value chain for cell and gene therapies is not like those for other medicines such as vaccines or small molecules. As regenerative therapies are based on materials from the patient, many of the preparation stages need to be performed in closed systems at the point of care, meaning you cannot easily manufacture, ship and dispense treatment through a pharmacy. As such, it requires the establishment of new manufacturing facilities and regulations surrounding the production process to ensure high levels of safety and efficacy. This emerging therapeutic field also presents challenges to health systems in terms of their confidence in the effectiveness of these treatments, which promise life-long management and even cure of disease. Despite the fact that we’ve seen really impressive clinical results, especially in immunoncology, we need to ensure that these results can be maintained over the lifetime of a patient. It is therefore necessary to gather a lot of evidence to demonstrate to healthcare payers that the therapy gives good value and is safe. To date, our healthcare system hasn’t encountered anything quite as challenging, and that’s why it has been the object of such intense research and focus at a governmental level. RL: Of course, the Brexit vote also presents a number of challenges around how the UK–EU relationship on medicine development and regulation will be managed going forward. The ABPI are working with all of the key stakeholders to identify the best route forward. Another challenge is ensuring that the UK remains a great place for companies to engage in therapeutic R&D. It’s about building on our manufacturing and R&D strengths to ensure the UK isn’t losing out on global R&D spend. We are looking at developing policy recommendations on how the UK can put the discovery and development of medicines at the heart of its new industrial strategy. One challenge facing global healthcare systems is antimicrobial resistance. What action is being taken here in the UK to combat this issue? RL: Antimicrobial resistance is an issue the UK pharmaceutical industry is very concerned about and we see ourselves as partners in the collaborative effort that’s needed to tackle this threat. The challenges associated with antimicrobial resistance are very broad. It’s easy to say that new medicines alone will solve the challenge, but we know this is not the case. 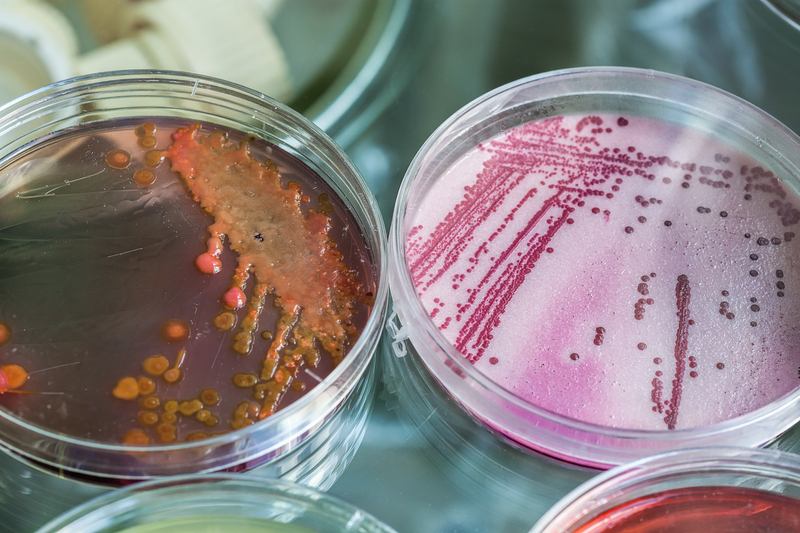 The pharmaceutical industry has engaged very closely with Lord Jim O’Neil’s Review on Antimicrobial Resistance, which was published earlier this year. The review identified four key challenges: the need for changes in how we use antimicrobials in farming and agriculture, the need for new business models to ensure a strong pipeline of antibiotics coming through, the need for better disease diagnostics, and the need for greater awareness amongst the general public about the risks associated with the misuse of antibiotics. On this final point, I believe that without a fundamental change in the underlying behaviour of patients we will never get on top of this problem. The ABPI and its members are engaged with all of these issues at national and international levels. On a global level, the ABPI and UK pharma are making commitments to work in partnership with their international counterparts to tackle these challenges. In January 2016, the pharmaceutical industry and ABPI signed up to the Davos Declaration, which includes commitments around the appropriate use of antibiotics, ensuring medicines are available in the developing world, and continued investment in R&D. 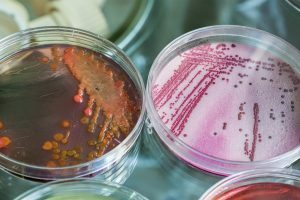 Large European funding initiatives such as ‘New Drugs 4 Bad Bugs’ are also financing research projects in the UK into ways we can overcome a number of different scientific challenges associated with identifying new antibiotics. Here in the UK, several of our members are heavily involved with campaigns relevant to antimicrobial resistance, such as encouraging flu vaccinations which prevent infection in the first instance. We are working closely with NHS England to look at how we can become a partner to reduce the rise of resistance of existing antibiotics, and how we can ensure new antibiotics coming through the system remain effective for as long as possible. We’re also working with the Department of Health to develop a UK specific business model to de-link antibiotic use from reimbursement. Of course, we can invest as much as we want into early phase R&D, but in order to translate this into treatments that benefit patients, we need to ensure that there is a market reward at the end of the process. At the moment the incentive to develop new antimicrobials simply isn’t there, and that’s why we’ve witnessed such a decline in investment. There is growing consensus that a new business model will revitalise R&D and benefit pharma and the healthcare system as a whole.